Friday afternoon 2-6pm – Candle workshop, making votives – Anja – Ancient Light, classroom – 7 people max – $3 – We use a ton of candles in the Craft. Have you ever gotten cranky over the prices that are being charged for them? Or the amount of chemical fragrance that makes you sneeze or sick to your stomach? 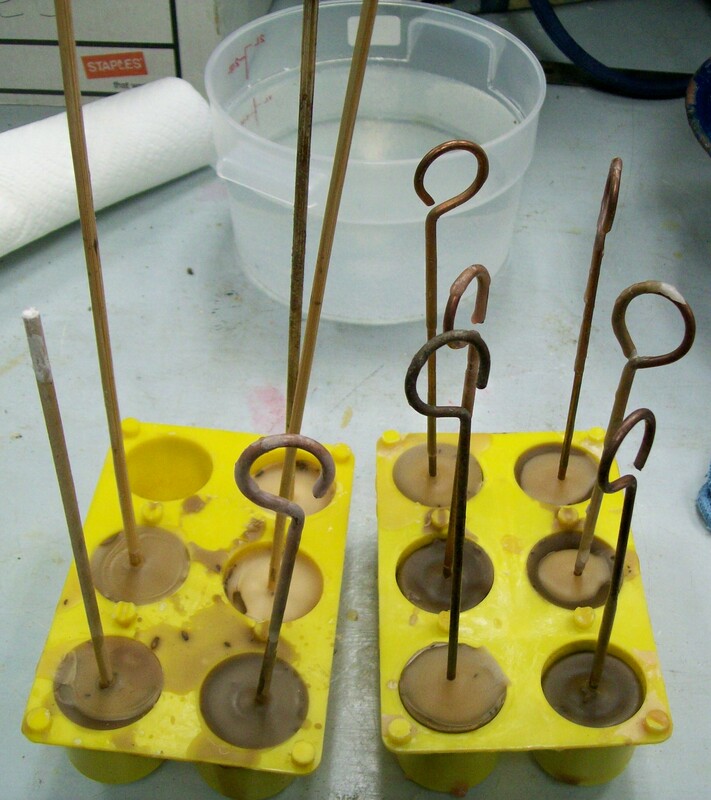 We’ll be making and molding our own votives, some of beeswax and some of paraffin and talking about not only safety, but how to color or scent candles safely, along with candlemaking basics. $3 covers your materials cost and a handout. Saturday Morning 11-1 – Quartz Crystal Formations – Debbie – No limit – This workshop will focus on the huge variety of quartz formations, along with their healing and metaphysical properties. It will give participants a hands-on experience with numerous stones that display many unique features, giving participants a deeper wisdom about quartz – in turn, enhancing their overall experience with their own stones. 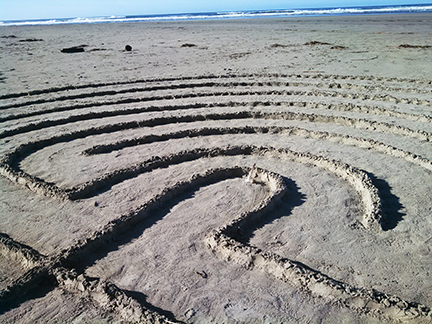 Saturday Afternoon 2-6:00 PM– Labyrinths – Linda and Larry – no limit – Suggested donation $1 – Join Larry and Linda Addison ( the Waldport couple who draw labyrinths in the sand on our local beaches) to Explore Labyrinths. We begin with an overview of on where Labyrinths originated, what they symbolize, and how they are interpreted today. During the overview Larry and Linda will share their personal experiences with Labyrinths. This will be followed by a demonstration on how you can draw your own Labyrinth. Weather and tides permitting, we will then go Gov. Patterson Oregon State Park and together we will draw a Cretan labyrinth on the beach. All who come can participate in the drawing of the labyrinth. Once it is finished it is available to be walked and enjoyed. Larry and Linda will be available to answer questions and share their experiences. Saturday Afternoon 2-4pm – Seminar – A Physicist’s Take on Wicca and Magick – Tempus –Donation – Is Reality an illusion, or is Illusion the reality? What are we, really? How does what we are allow us to influence reality around us, i.e. how can magic work?? Saturday evening, 9pm until whenever – Panel Discussion – Midnight Questions – Anja – Ancient Light, book/altar area- By donation – This is a crowd-directed discussion. We’ll put a can on the altar for questions that you’d like to hear folks kick around or to discuss yourself. It’s intended for a free-form bit for those folks who tend to stay up, anyway! We’ll bring a little wine to share. Sunday Morning, 9am – Rain, Fog, Storm, & Wind Magicks – Anja – Any number – Donation requested – Weather magicks take advantage of natural phenomena to propel the will into the world. and network. This class is open to as many as 30 and is free to attend. Sunday Afternoon 2-3pm – 1-30 people – Ground and centering – Marius – Suggested donation $1 – This class is about the basics of grounding and centering. it’s designed to give the students something to begin working with and aid the formation of grounding techniques.